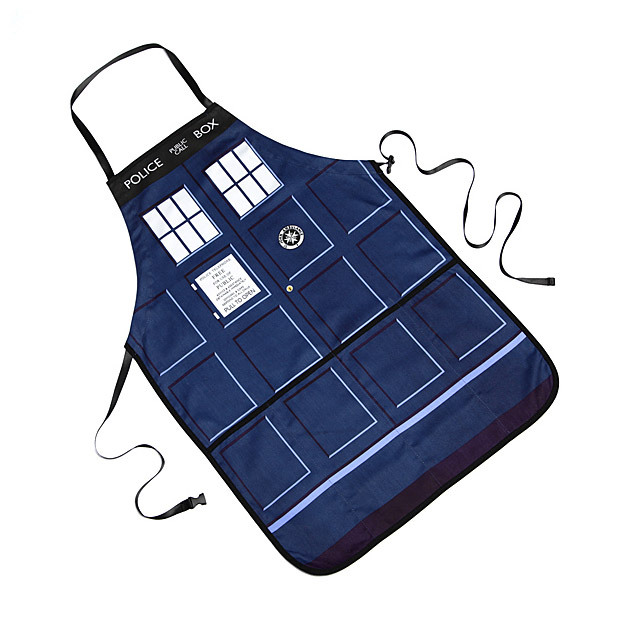 There’s no better way to prepare a meal for the next episode of Doctor Who than wearing a TARDIS as your apron. 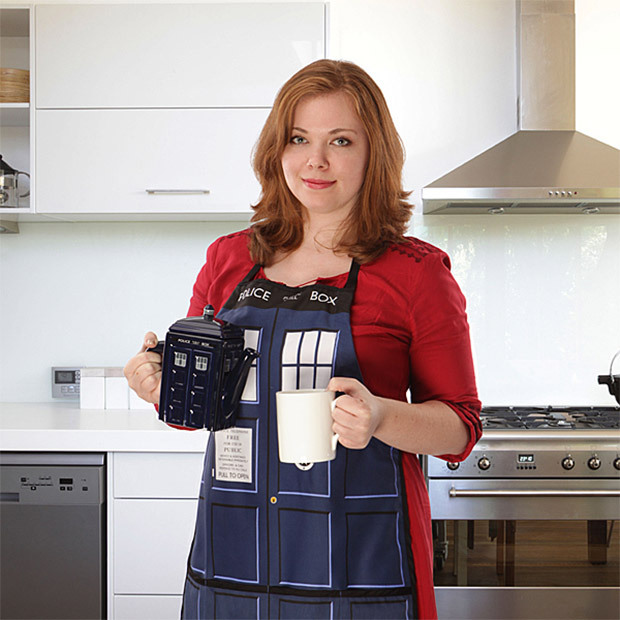 This apron is perfect for cooking up fish fingers and custard, soufflès, or even homemade Jammie Dodgers. Now you’re cooking with Thyme and Spice!